This past year has been a rough one for our family–too much work, too many activities and obligations, a few random illnesses and injuries, and thanks to the “Polar Vortex,” way too much snow and cold! So, to help us decompress and restore our Vitamin D, with an uncharacteristic lack of planning on my part, we booked a spring break trip to Puerto Rico. I planned absolutely nothing more than lodging and a rental car, with the idea of just going with the tropical flow for the duration of the trip. In the end, it was an absolute success, and we all agreed we’d go back in a heartbeat! 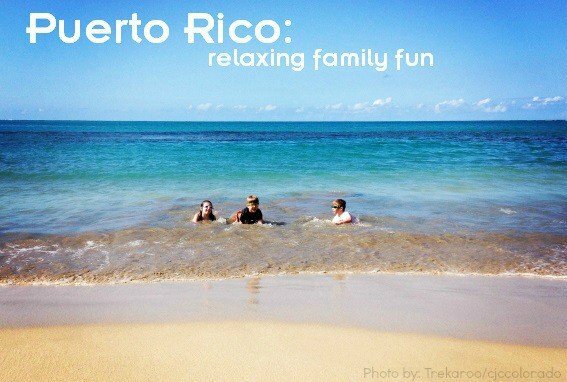 Here’s what my family loved about our beautiful Puerto Rican vacation. Puerto Rico, a U.S. territory, is home to over 3.5 million people, with the highest concentration in the San Juan area, a popular stop for cruise ships. There are numerous large hotels and several nice beaches in and around San Juan, just minutes from the airport and the historic area of Old San Juan with its amazing walled forts. Since our family was looking for a low-key vacation, we ventured further out and found a place to stay on the east end of the island, about 40 miles from San Juan, in the marina town of Fajardo. This location is nice for those who want to explore or snorkel at the nearby islands of Culebra or Vieques, or any of the dozens of small islands off the coast, as ferries and charters leave from this marina daily. While we didn’t get to visit this trip, we also heard great things about the charming historic town of Ponce, southwest of San Juan, and the beauty of the west end of the island. Since Puerto Rico is a popular vacation destination, there are many resorts and hotels from which one might choose all over the island. We opted for a local condo we found on Vacation Rentals By Owner (VRBO), which gave us a bit more flexibility for a reasonable price. We enjoyed the pools and amenities of the condo community, but felt free to explore the local area, beaches, and restaurants. Since relaxation and time in the sun and ocean were our prime goals for the trip, we researched the best beaches near us–and there were plenty to choose from! In Fajardo, we were very close to the Seven Seas Beach (Playa Siete Mares) and Hidden Beach (Playa Escondida), which we could easily hike to through the mangroves at the far end of Seven Seas. Both offered tropical postcard views, though the water at Playa Escondida was too rough for swimming or snorkeling safely. Later in the week, we drove west a bit to Luquillo Beach, which is well-known as one of the most family-friendly beaches in Puerto Rico. With its warm, calm waters, soft white sand, guarded parking, and numerous facilities (including Luquillo’s famous food kiosks), we could see why. Our kids even chose to come back a second time on our last day of the trip. That day we found a stretch of ocean floor simply covered with sand dollars. We spent more than a couple of hours snorkeling and diving for them. Talk about a memory that will last a lifetime! Besides the beaches, Puerto Rico is home to a number of unique attractions that draw in visitors of all ages. El Yunque National Forest lies just south of Luquillo and is famous for being the only tropical rainforest in the National Forests System. For us, El Yunque provided the perfect excuse to cool off for a day after taking in a bit too much sun at the beach. 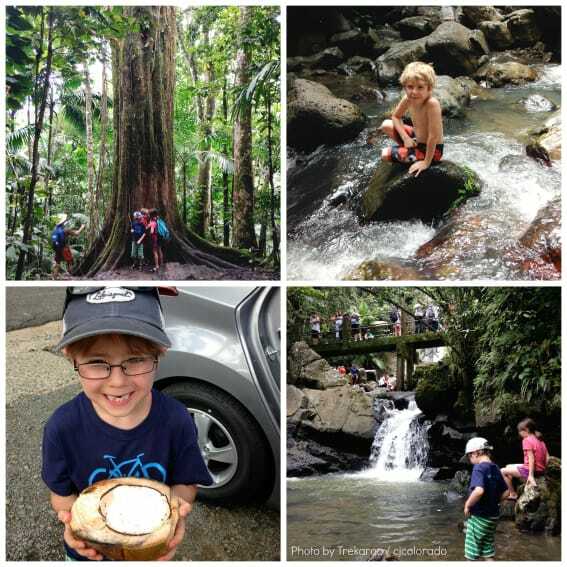 We slowly drove up the mountain road through the lush forest, stopping along the way to hike to inviting waterfalls, take in the expansive views of the northern coast of the island, and buy a couple of cocos frios (cold coconuts) for a refreshing drink after our hikes! We also spied a few zipline tours operating in that area for those looking for a little more adventure. In Fajardo, we were incredibly close to Las Cabezas de San Juan Nature Reserve, which highlights the impressive variety of ecosystems and animals found in the area, most notably a bio-luminescent lagoon! Sadly, the entrance to the park was by reservation only, and since this was a “no plans” trip, we were unable to get a reservation for our family to visit while we were there. 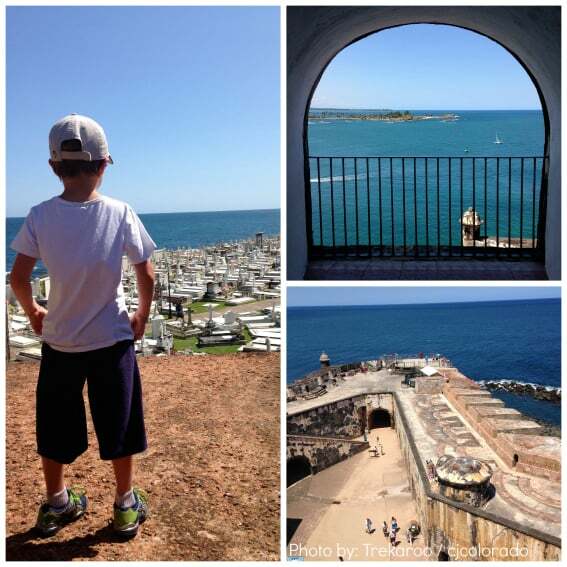 We made up for it with a day trip to picturesque Old San Juan, a National Historic Landmark District, that is also home to the wildly impressive Castillo San Felipe del Morro (“El Morro”) on the San Juan National Historic Site. Founded in 1539, the imposing fortress and city walls provided no small measure of protection for the vital straits nearby for centuries. Today, kids and families can hike all over the grounds and fortress walls, explore underground tunnels and rooms, and picture themselves in scenes from Pirates of the Caribbean. (At least, that’s what mine did!) After that adventure, Old San Juan beckons you in with its colorful homes, vibrant restaurants, markets, and music. There is no better way to recharge than with delicious Puerto Rican food and drinks! 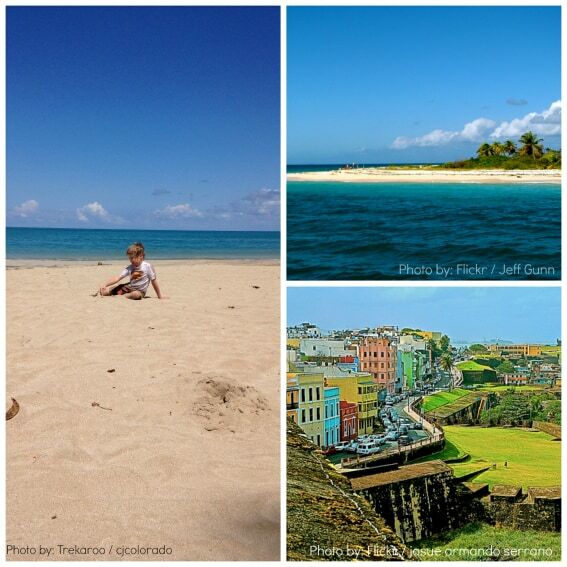 So, whether you are heading out on a well-planned, active adventure with your family, or merely looking for a spot to peacefully wind down and sink into the warm sand at the ocean’s edge, Puerto Rico offers a wide variety of family-friendly options on its beautiful and diverse island. Thanks for the info.We are heading to San Juan on the 14th. We are staying in Old San Juan.